The ECoLaSS international project team, which is under the leadership of GAF AG, gathered last week to present the progress made during the first 18-month project period to the European Commission’s Research Executive Agency (REA). Coordinated by Linda Moser (GAF, middle), ECoLaSS is developing, testing and prototypically demonstrating new technologies and products as candidates for a next-generation Copernicus Land Monitoring Service (CLMS) from 2020 onwards. 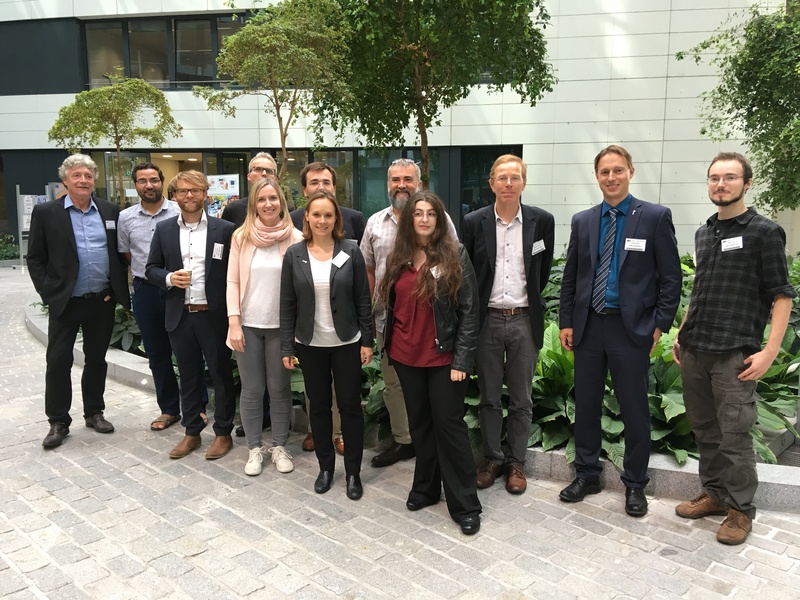 ECoLaSS brings together a group of renowned research and industry partners consisting of GAF (Germany), SIRS (France), UCL (Belgium), Joanneum Research (Austria) and DLR (Germany). The research leading to these results has received funding from the European Union’s Horizon 2020 Research and Innovation Programme, under Grant Agreement no 730008.